Tori seizes with his left hand Uke's right wrist which he turns halfway upwards. Tori's right hand twists Uke's right thumb as follows: His fingers press on what is called the thenar eminence or muscles of the thumb occupying the lateral side, and the end of his right thumb flexed presses strongly backwards the end of Uke's thumb. This hold can cause dislocation of the joint at the base of the thumb, i.e. the knuckle of the first metacarpal and of the first phalanx. Remark: This hold is useful when you are trying to extricate yourself from, say, a lapel hold or a rear waist-hold, and then to overpower your opponent. The same hold by Tori with his left hand on Uke's right wrist but the wrist this time is kept downwards. pivoting slightly from right to left Tori's right hand on Uke's right thumb. Remark: The finger holds are quite numerous and very useful to know. 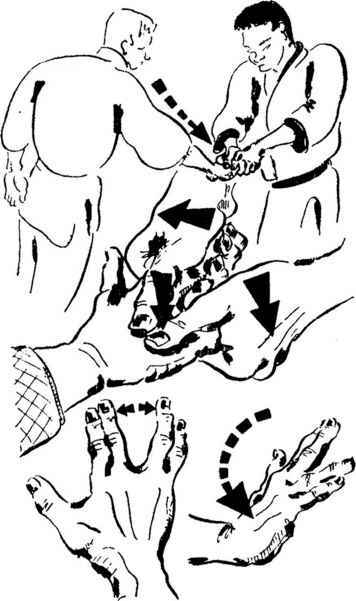 Flexion of the Hand with "Quartering" of the Fingers : (Fig. 46). Tori with both hands seizes Uke's right hand held down wards. His right hand takes the index and middle fingers and his left hand the third and little fingers. His thumbs side by side press downwards on the middle of the metacarpus. 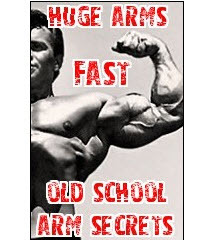 somewhat of a misnomer judging from the illustration. "Separation" of the fingers would seem to be a more suitable description. At the same time Tori's thumbs impose on Uke's wrist a movement of flexion upwards. Remark: This hold is extremely efficacious in order to overpower Uke and bring him to the ground fiat on his stomach. Tori can also transform the hold into a "come along" by turning Uke's hand upwards. Inward Torsion of the Wrist: (Fig. 47). or thumb edge of Uke's wrist. Tori's right hand comes symmetrically and a little above his left hand to complete the blockage of the wrist. Tori raises Uke's wrist so that Uke's elbow is higher than his shoulder. He takes a big step forward with his right foot and passes underneath Uke's right armpit, pivoting to the left with a half-turn which brings his left flank against Uke's right flank. Uke's right wrist is thus twisted upwards from right to left. Throughout this movement Tori's elbows must be held closely against each other. Remark: This lock can also be used from a handshake from Tori to Uke. Tori with his right hand has seized the fingers of Uke's right hand starting from a handshake. Tori's left hand blocks pincer-wise Uke's right elbow on a nerve centre or kyusho. This pincer-like pressure with the tips of Tori's fingers and thumb must be exercised on the base of the internal and external ligaments of the biceps on the elbow. 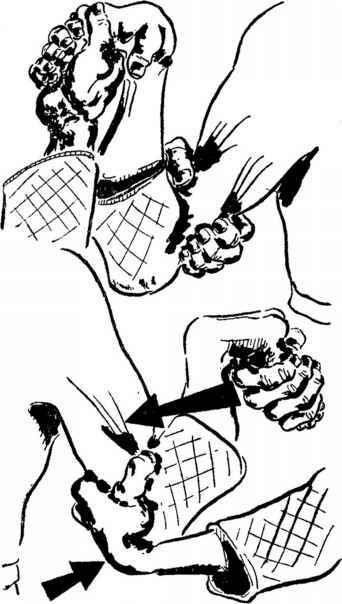 Tori raises Uke's wrist as though to bring the posterior base of the wrist against Uke's deltoid. Uke's right hand is bent in the shape of a swan's neck. This flexion of the wrist is extremely painful, all the more so in that Tori should firmly hold the fingers and not the palm of Uke's hand and can finish with a slight torsion outwards. 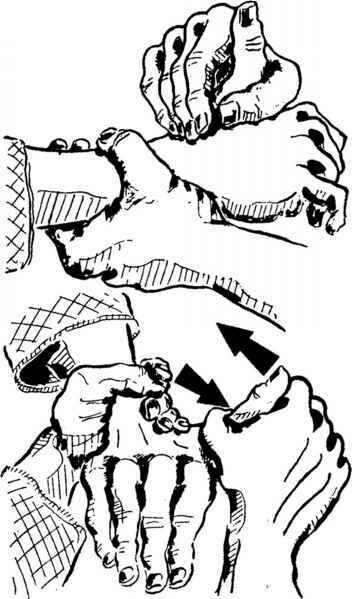 Second Hold on Hand and Elbow: (Fig. 49). Start with the normal handshake. Tori pivots to the right with a half-turn as he pulls Uke's right hand forward and a little downward. At the same time his left arm bent blocks Uke's right armpit against his biceps and his left leg passes in front of Uke's legs. 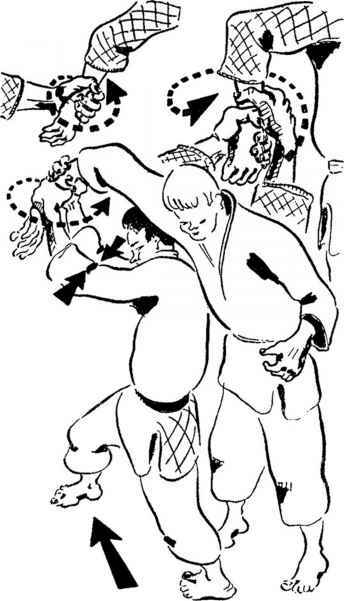 The illustration shows the manner in which Tori finishes the movement with an elbow lock as he bends Uke's wrist downwards. 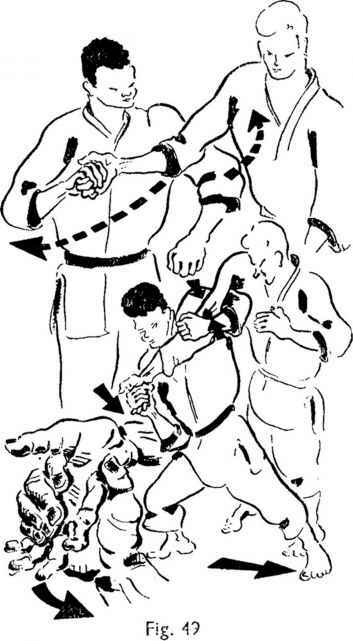 Armlock from Behind with Torsion of the Wrist: (Fig. 50). Tori with his left hand seizes Uke's right hand as follows: His palm is placed on the edge of Uke's hand; his thumb presses on Uke's palm and his fingers are on the back of Uke's hand. With the help of this hold he bends Uke's wrist backwards at a right-angle. At the same time with his right hand Tori takes hold of Uke's elbow, placing his thumb on the elbow-bone (olecranon) and his palm in the hollow of the elbow. Tori takes a big step forward with his left foot on which he pivots with a half-turn backwards and to the right so that he is placed behind Uke. Uke's right arm is then bent at a right-angle and against his back. The palm of Tori's right hand covers the elbow and his fingers are closed tightly on the kyusho or sensitive spot of the ligaments of the triceps. Lastly Tori's left hand is flexed upwards and bends Uke's right wrist backwards. This hold closely resembles the well-known hammerlock of the catch-as-catch-can style of wrestling. Failing Uke's timely surrender his right shoulder may be dislocated. 011 to his stomach by hooking his legs in front or push him forward. against the right side of Uke's head. His left hand comes behind Uke's nape from over Uke's left shoulder and both his hands are joined in the fundamental hold behind Uke's right ear. Remember that the fundamental hold is that in which the fingers of both hands are clasped together with their tips dug into the palms and the thumbs pressed against the little-finger edges of the hands. Tori holds his elbows as much as possible against each other under Uke's chin and his forearms which thus block Uke's head diagonally as in a vice inflict a movement of torsion which raises Uke's chin towards his left. This hold is extremely painful and also very dangerous if pursued to a finish since it can bring about dislocation of the cervical vertebrae. What are hold hand defence? 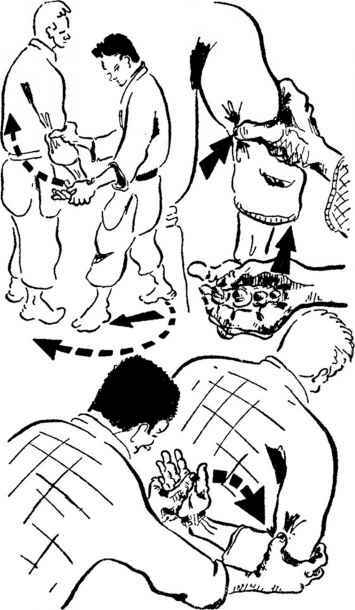 What is a thumb lock maneuver? 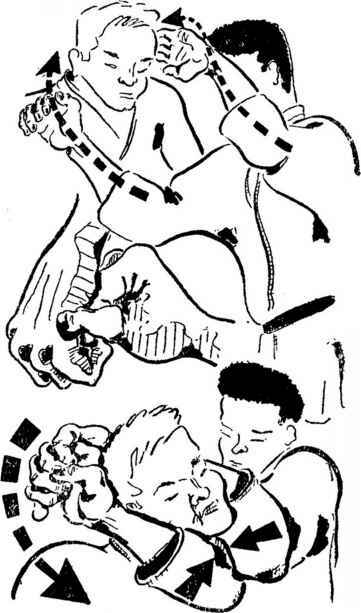 What is a thumb lock defence? How to use chor holds for self defense?